This will be the sixth season for this popular group format class. The objective is to turn our students into competent players. Only through true competent play can we have confident players. The class meets every Tuesday, Thursday, & Sunday from 11 AM until noon. 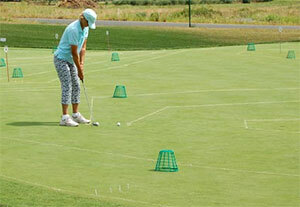 Fee $20 per student practice balls and clubs included and no pre registration. For more information please call 908 369-8232. Please contact Fred Glass at FGlass@scparks.org or call the Learning Center at (908) 369-8232 for more information.